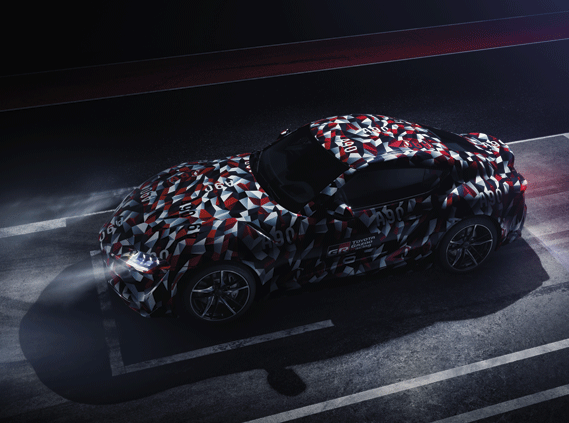 The Toyota Supra is back. 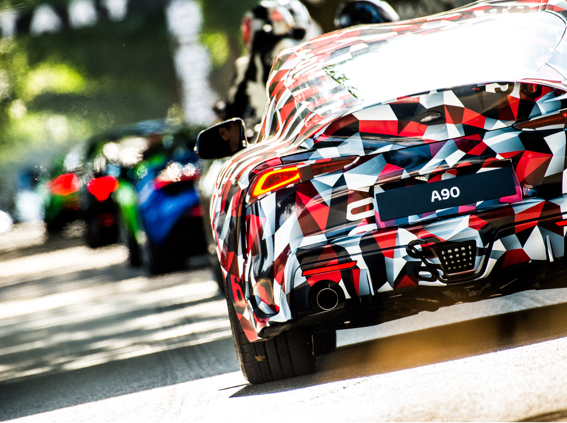 Inspired by over 30 years of rich heritage, our new front-engined, rear-wheel drive sports car delivers our purest experience yet. 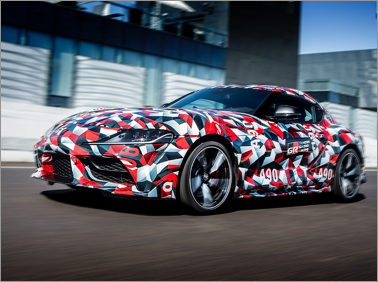 With an exhilarating blend of power, balance and agility the new Toyota Supra offers enthusiasts the ultimate expression of driving pleasure. 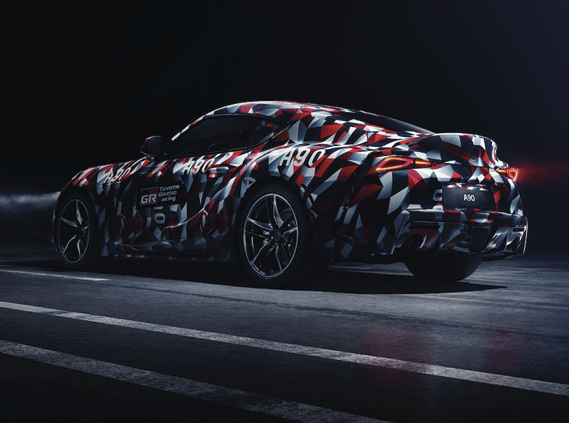 The lucky group of 900 European owners set to receive the new Toyota Supra in the first year of launch, will not only have our purest sports car at their fingertips, they’ll also be elevated into an exclusive group: Supra 900 Club. 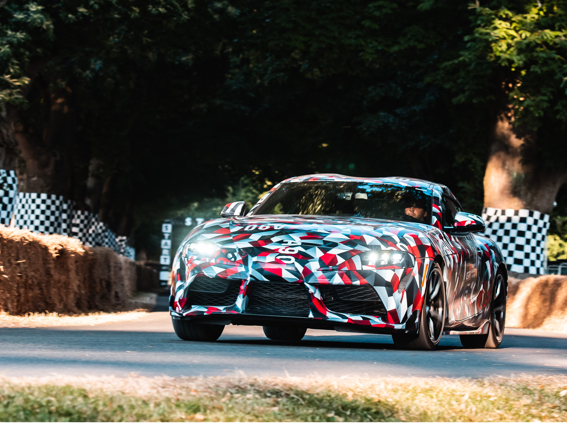 The development of the new Toyota Supra wasn’t driven purely by performance numbers or headline lap times, but a single-minded focus on the feeling you experience at the wheel. 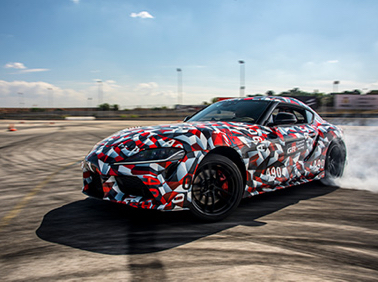 By drawing on world-level motorsport engineering and design, the no-compromise, new Toyota Supra achieves the ‘golden ratio’ – between wheelbase, track width and the height of its centre of gravity – for instant steering response and exceptional cornering performance. 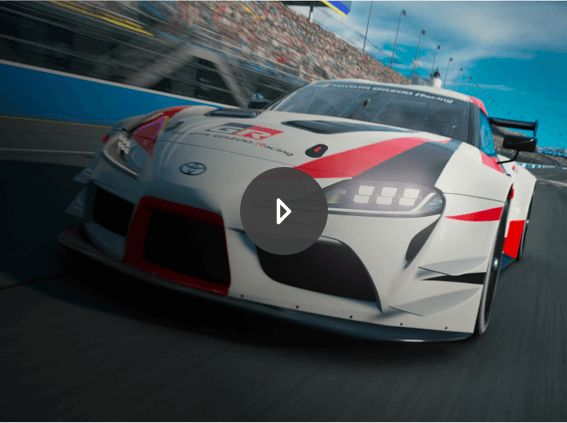 Continuing the legacy laid down by previous generations, the new Toyota Supra’s front-mounted, in-line six-cylinder engine has all the ingredients to stimulate your senses. 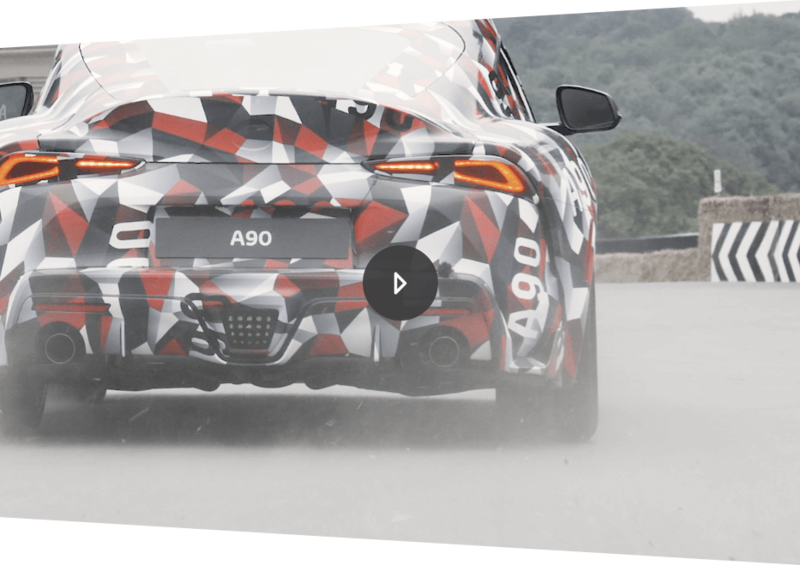 From exhilarating performance to a pulsating soundtrack, this world-class powerplant has one mission: to provide the ultimate in driving pleasure. 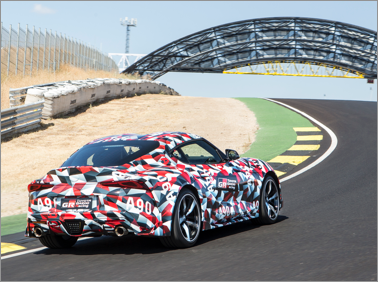 At home on road or track, our high-performance sports car delivers over 300bhp from its 3.0-litre engine. 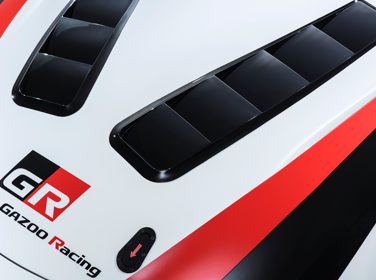 Through a twin-scroll turbocharger, high-precision, direct fuel injection and variable valve control, it grants drivers seamless power and instant response. 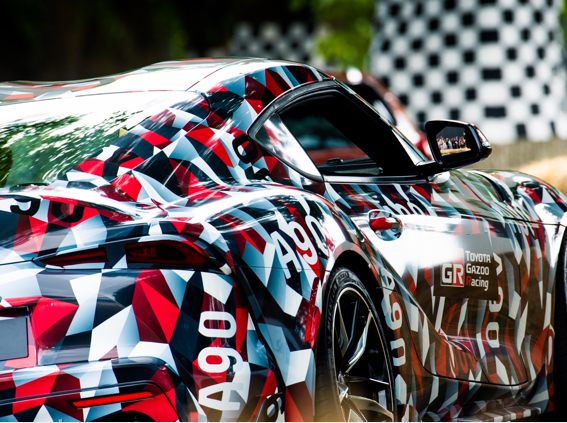 As a result, the Toyota Supra charges to 100km/h in under five seconds and, thanks to the engine’s ultra-smooth nature, delivers precise control through the bends. 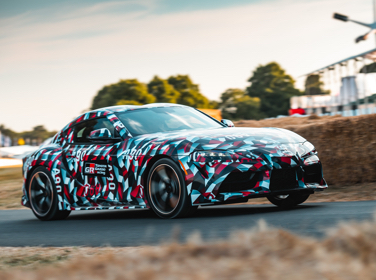 Optimum weight distribution, lightweight construction, low centre of gravity: three elements that define a pure sports car – and areas which our engineers obsessed over in order to make the new Toyota Supra thrilling to drive. This no-compromise attitude applied to a front-engined, rear-wheel drive layout ensures our two-seater coupé achieves a perfect 50:50 front-to-rear weight distribution. 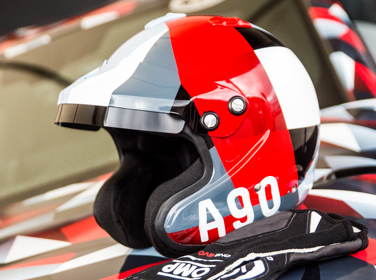 Due to an aluminium and steel composite frame that provides incredible rigidity and lightness, a low centre of gravity and short wheelbase, drivers can revel in confidence-inspiring stability, seemingly limitless grip and a neutral handling balance. 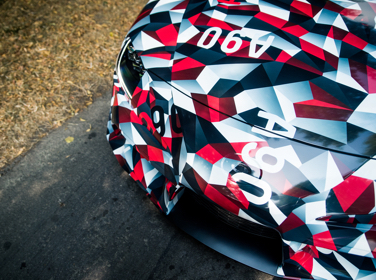 Thrilling, engaging and fun, the Toyota Supra has been designed to reward drivers of every ability. Under the skin, an electronically controlled active differential and Adaptive Variable Suspension (AVS) are at play, giving you exquisite control, precision and agility – whenever you want to play. The electronically controlled active differential controls the amount of torque sent to each rear wheel. 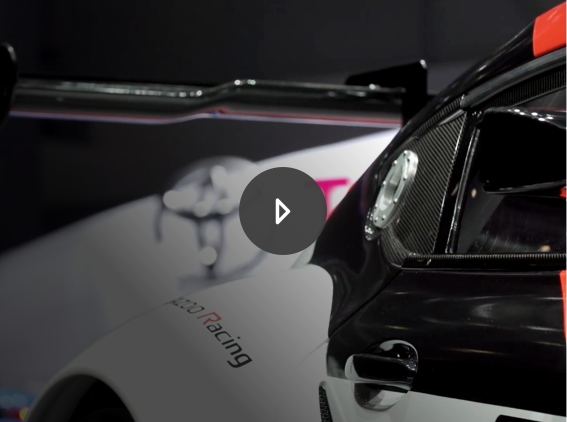 Drive force is distributed flexibly, so handling remains neutral throughout every stage of a corner, while hard braking and acceleration feel stable and precise. 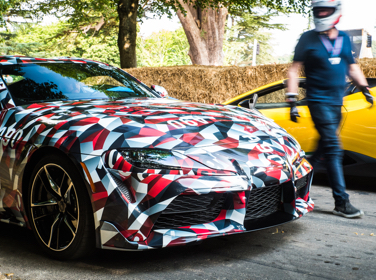 With the advanced AVS system delivering impressive comfort and control, the Toyota Supra puts a smile on drivers’ faces whether it’s a challenging racetrack or clear country road. 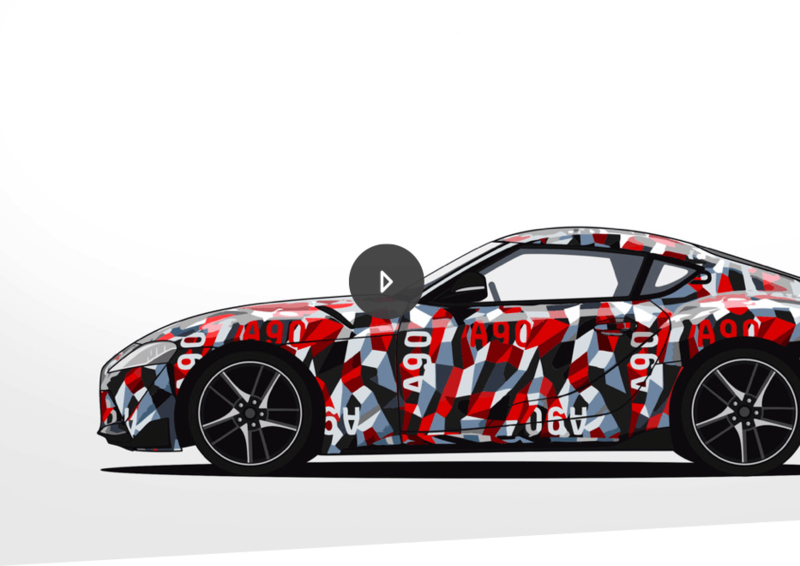 Hiding a new vehicle’s design from prying eyes while in development usually means applying an array of monochrome zig zags or spiral patterns to its body. 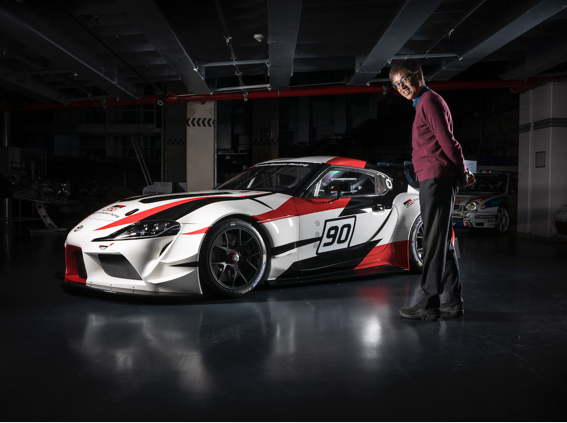 But for our Toyota Supra A90 prototype, we wanted something more memorable. After all, a legend deserves a mask of true distinction. 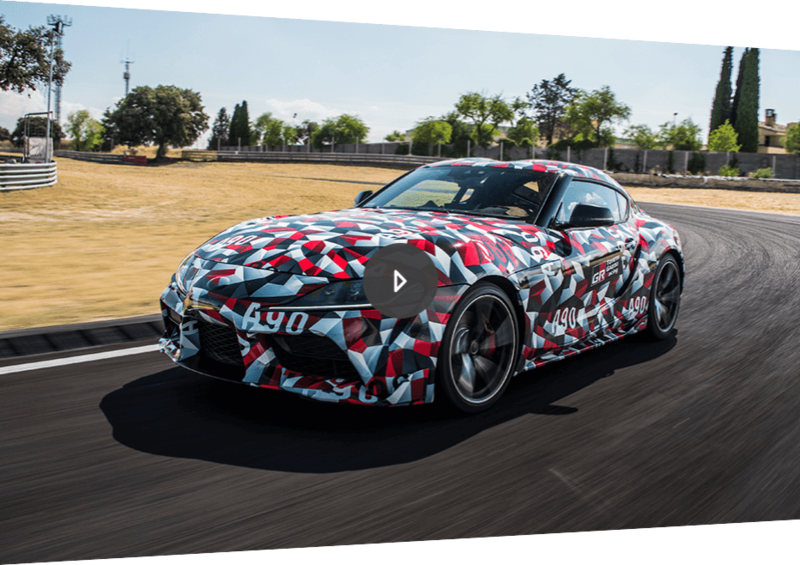 From the luxurious grand tourer of the ’70s, through the uncompromising sports car of the ’90s, the evolution of the Supra’s legendary A chassis code now continues with the new Toyota Supra A90. 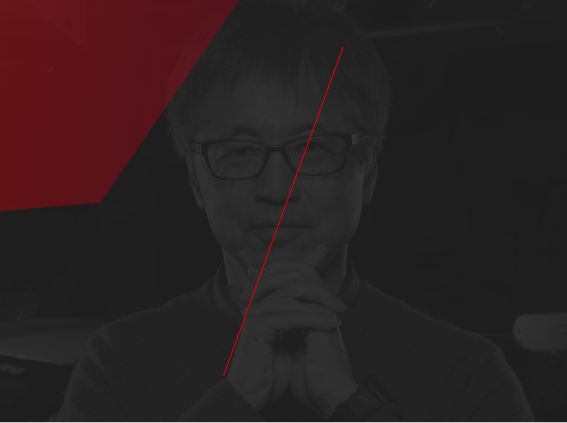 Our purest driver’s car yet. 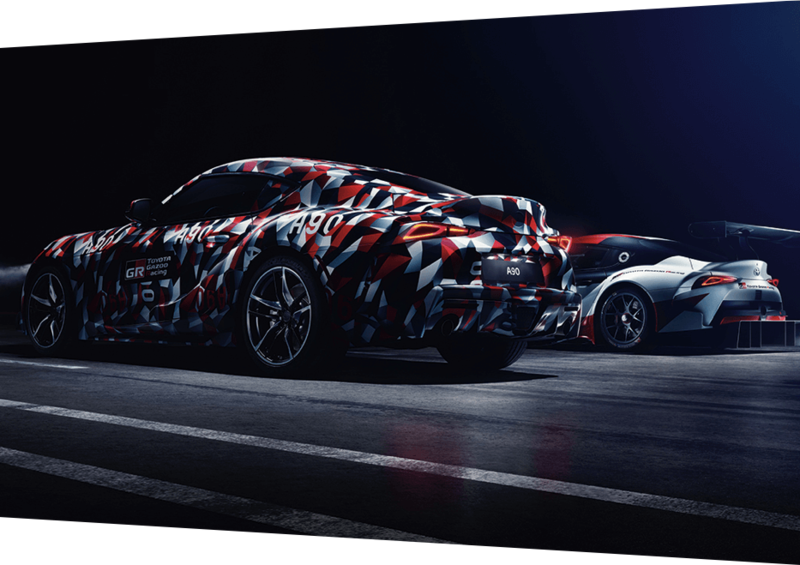 A clear thread runs through each generation of Supra: two fundamental ingredients that define our iconic sports car and can be traced as far back as the 2000GT. A smooth, responsive straight 6-cylinder engine and a front engine, rear-wheel drive configuration for the purest possible driving experience. 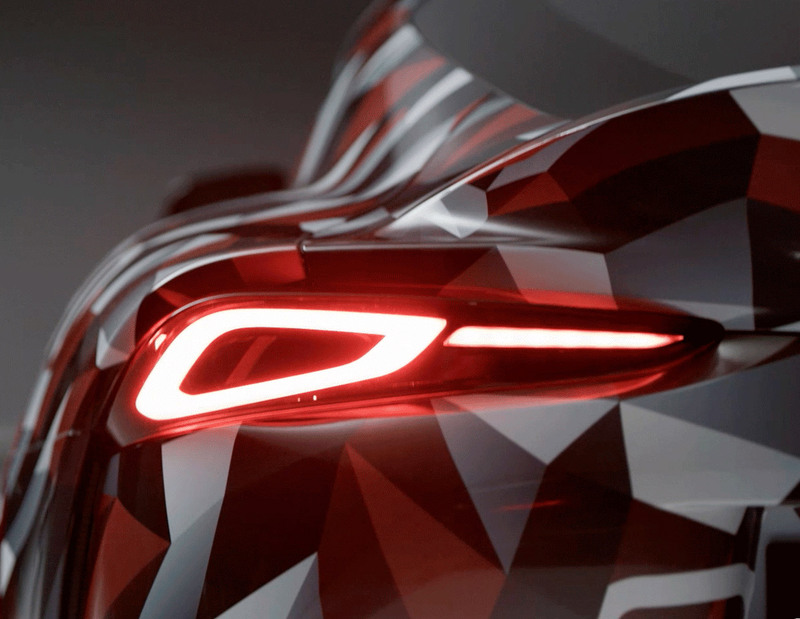 Hiding a new vehicle's design from prying eyes while in development usually means applying an array of monochrome zig zags or spiral patterns to its body. 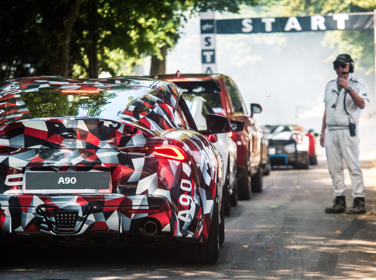 Wrapped in a unique camouflage, inspired by its TOYOTA GAZOO Racing roots and chequered flag pattern, our future sports car is taken to Goodwood's famous hill for its first public test, as it enters its final development phase throughout Europe and America. 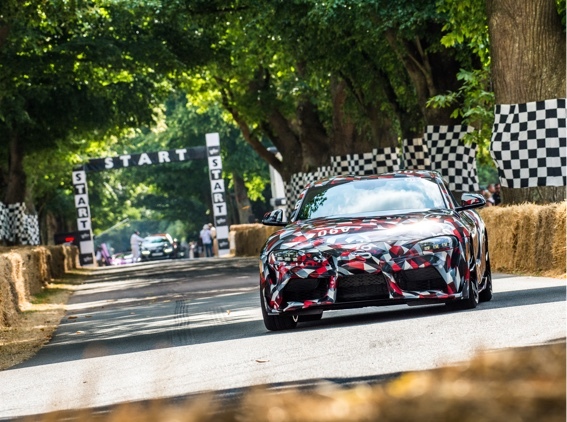 From turning heads on the start line to wowing the crowds accelerating up the hill, the Toyota Supra A90 was one of the main attractions at this year's Goodwood Festival of Speed. 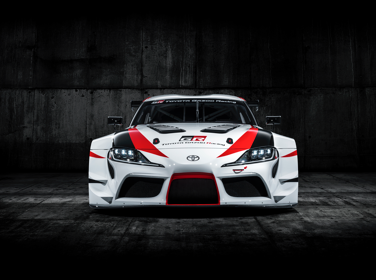 Produced by TOYOTA GAZOO Racing, the new Toyota Supra draws on lessons learned from competition at the highest level to make it a pure sports car that's in its element on track – at the limit – or exploiting your favourite road. 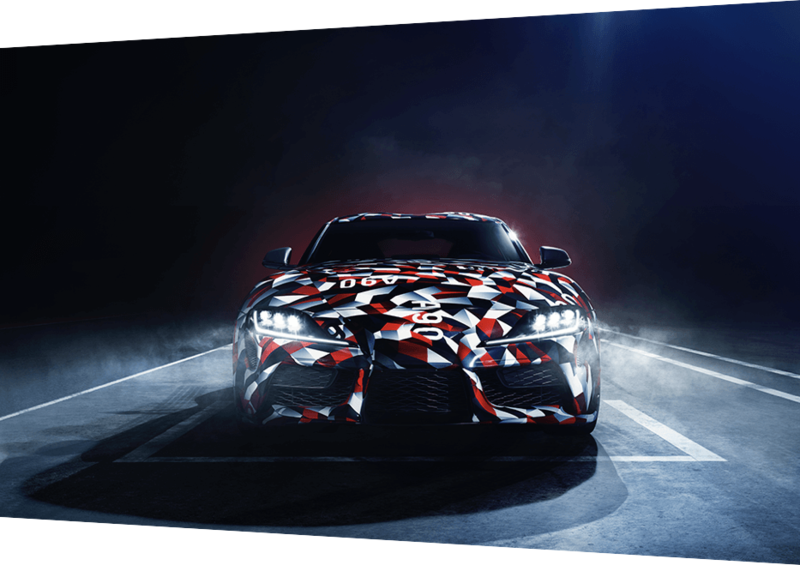 Unveiled at the 2018 Geneva Motor Show, the GR Supra Racing Concept incorporates a purist’s front-engine, rear-wheel-drive configuration, advanced lightweight construction and competition-focused interior to perfectly express our fun to drive philosophy. 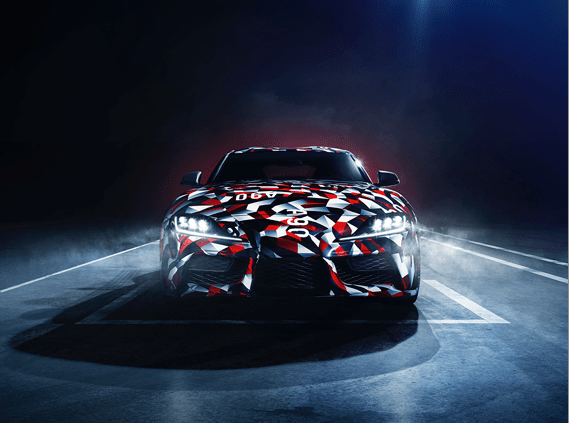 First seen at the 2018 Geneva Motor Show, the GR Supra Racing Concept revives the spirit of the most celebrated name in Toyota’s sportscar heritage. 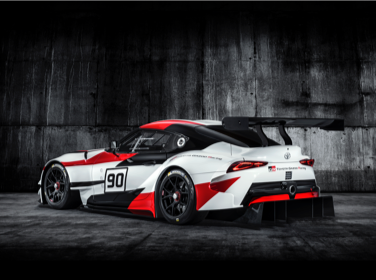 Unveiled at the Geneva Motor Show, the GR Supra Racing Concept revives the most celebrated name in Toyota’s sportscar heritage.